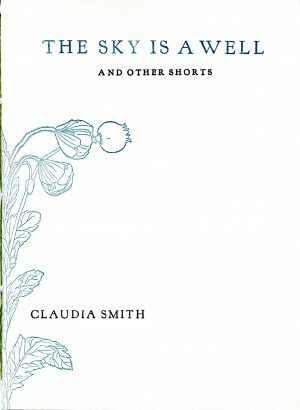 Lyric and gritty, glowing and graceful, The Sky Is a Well and Other Shorts is a complex and compact collection from Claudia Smith, funny-sad master of the short short form. Evocative of places and times long gone or going, the ephemera of memory and emotion, youth and age, each story unfolds like a song on a concept album—the pieces can stand alone, but together they blend into a seamless whole you’ll want to hear again and again. The two-color letterpress covers of this beautiful chapbook were printed at the Museum of Printing in North Andover, Massachusetts, and each copy was saddle-sewn together by hand. Claudia Smith lives San Antonio, Texas with her husband and son. 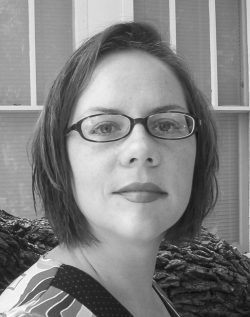 She attended Bard College, the University of Texas, and the Writing Seminars graduate program at Johns Hopkins. 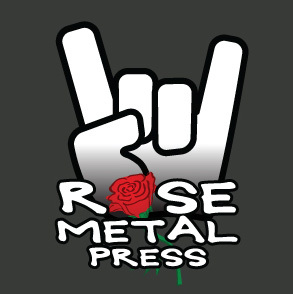 Twice nominated for the Pushcart Prize, her fiction has appeared in Redivider, The Mississippi Review online, Juked, Night Train, Elimae, Failbetter, Opium, and Word Riot, among others. She is a contributing web editor for Hobart magazine. Her stories have been anthologized in Norton’s New Sudden Fiction: Short-Short Stories from America and Beyond and So New Media’s Consumed: Women on Excess. Visit her website here.